In this tutorial we are going to see how defrag command can be added to Windows XP context menu to launch the command line version of Windows XP�s built in defragmenter utility. Step 4: Now right click the file that you just created and click install. Refer to the screen shot given below. 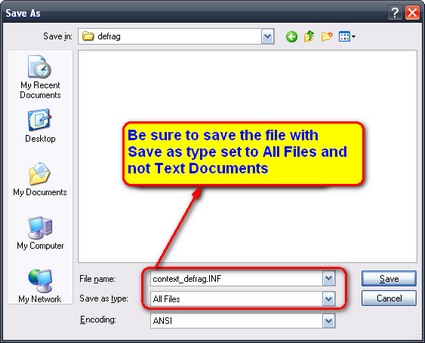 Step 5: Now go and right click your computer’s hard drive and you can see the defrag command listed in the context menu. Refer to the screen shot given below. 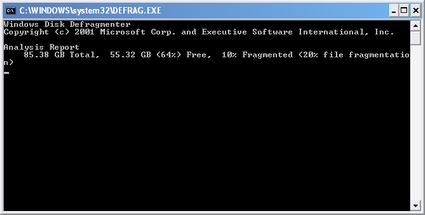 Step 6: Now if you click that you can see the windows command line version of defrag.exe in action.